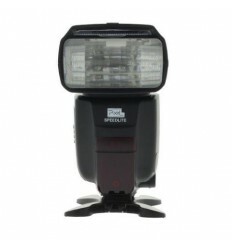 The Falcon Eyes DHV-138AZ-N for Nikon is a wireless Speedlite, which is equipped with TTL Autofocus. The DHT-138AZ-N is equipped with the following features: LCD display, manual zoom, red illuminator for focusing in dark and/or low light conditions, TTL measuring, automatic shutter setting, 8 adjustable flash exposure ‘stops’ (from 1/1 to 1/128), bounce head, built-in slave, built-in reflex plate, automatic power saving function, automatic shutter speed setting and red eye reduction. If you wish to use the DHV-138AZ-N in conjunction with multiple flash units, it is possible to set one flash unit as the ‘master’ and the rest of the flash unit as the ‘slave’ (provided they support this function). 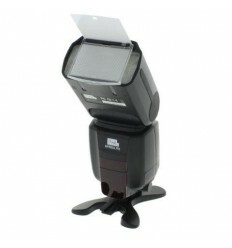 It is possible to have up to 3 separate groups with this speedlite, with 4 channels for each group. 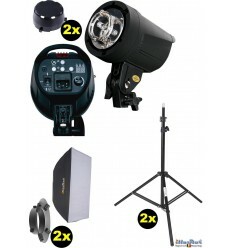 Within the groups/channels it is possible to set each flash unit with a separate TTL setting. 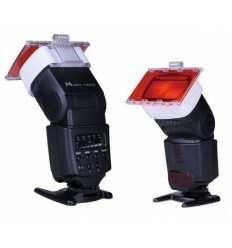 With the included flash bounce, it is possible to dim and spread the light emitted from the speedlite. 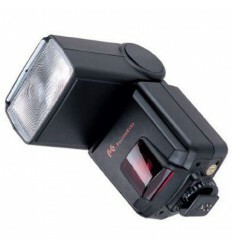 Further, the integrated hotshoe adapter allows you to mount the speedlite directly thereon. 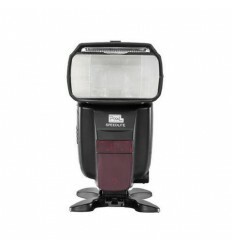 The possibilities of the Falcon Eyes DHV-138AZ-N Wireless TTL Speedlite for Nikon are easily broadened through our vast range of strobist accessories. Strobist accessories such as the Falcon Eyes SGA-K9 Strobist can be found in the optional accessories tab below. 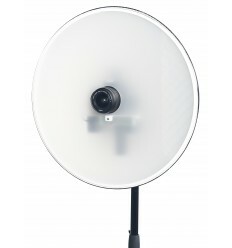 Further, accessories such as diffusor ball, softboxes, barndoors or snoots are available. These accessories can also be found in the optional accessories tab below.